H x W: 10 in. / 8 in. Ruth Turner moved to Washington in 1936 with her family. Upon completion of Secretarial College she organized the Young Democratic President's Ball for two years while serving as Chairman of the Hungry School Children's Fund for the District of Columbia. She also served as President of the Religious Educator's Fund at Trinity College and helped raise money to educate religious nuns who did not complete their education. In 1942 she joined the WAAC and served as 1st SGT, Company Commander, and Staff Officer (Assistant Adjutant) for the Military District of Washington. 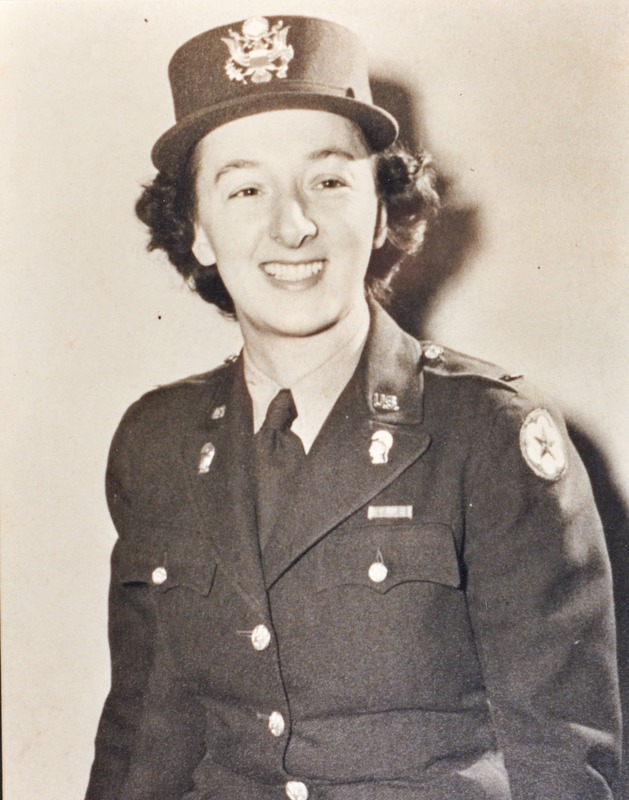 Mrs. Turner served as Aide to General Howley in Berlin, Germany and was the first woman officer to attend the School for Government of Occupied Areas at Carlisle Barracks. She resigned her commission in 1953 and married Edwin L. Stohlman, President of Stohlman Chevrolet in Georgetown.